Try the healthier version of samosas. 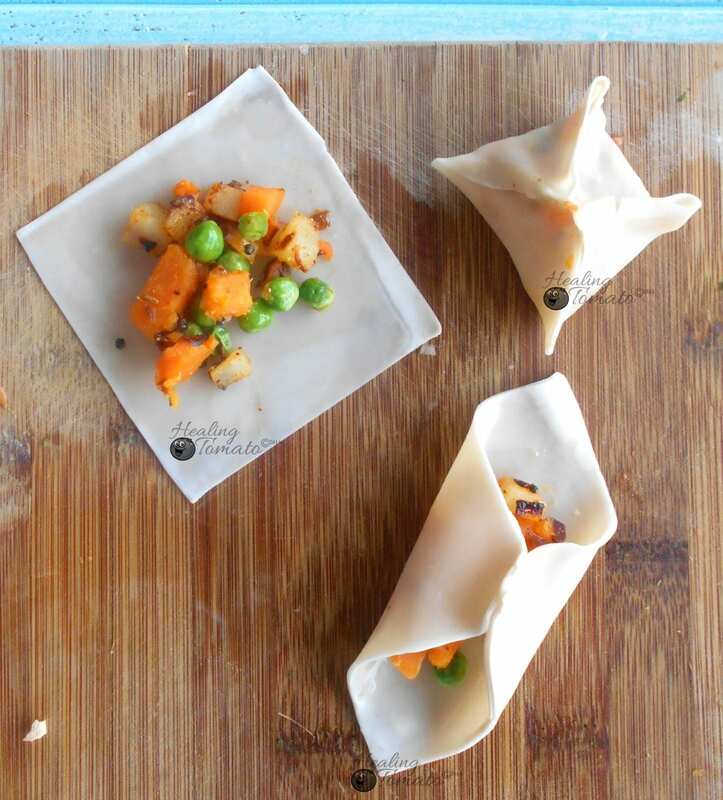 This samosa wonton recipe is the guilt-free version of samosas. The chutney is Caribbean Inspired. Is there anyone who doesn’t love samosas? As far as I know, there isn’t anyone on this earth who doesn’t love a good samosa recipe. 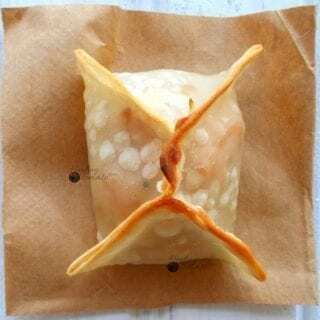 Samosas are very easy to make, if you are using wonton wrappers. Ever since I remember, my mother has made the perfect samosas. You could take a compass to it and it would be an equilateral triangle with 45 degree angles! Unfortunately, I did not inherit her trait for symmetry and perfection. Over the years, I have experimented with so many variations of samosas. I will not bore you with the disaster that was the Mexican Samosa. Then there was the Greek version of samosas where the Feta cheese was fried which ended in a huge mess. This recipe has some Chinese influence and some Caribbean influence. Also, I decided to make Sweet potatoes to be the focus of the recipe, although, I didn’t stay away from regular potatoes either. Sweet potatoes with peas and carrots make up this recipe more interesting and healthy. 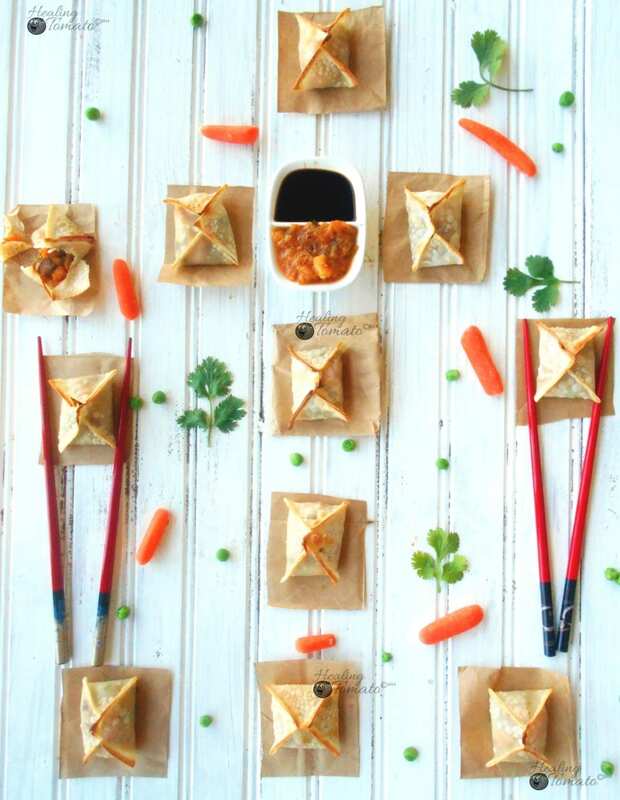 It takes 45 minutes to make these samosa wontons, so, you won’t be spending your whole day slaving over the stove. To save some time, bake the sweet potato in a mini oven for about 15 minutes. In a medium wok, add the oil and add black mustard seeds. When the mustard seeds start popping, add the cumin seeds. Turmeric powder is vital in all Indian cuisine and it is also very therapeutic in nature. It has a long list of health benefits as outlined in this WebMD’s article. I served this with Caribbean Style Chutney which was a great combination. The dish has a very West Indian flare and the samosa wontons fit right in. Add the red onions and let them caramelize. Should take about 5 minutes. Why would you comment on a recipe you have not made ? i made this recipe and the filling had no depth of flavor and baking the wontons was terrible. The wontons were brown but dry and not crispy like when fried. If i ever made this recipe again, I would cut the cooking time, add more spice, and steam the wontons like pot stickers and fry the other side. Chutney is way too sweet for this recipe I would do a soy vinegar dipping sauce. Thank you, Susan. 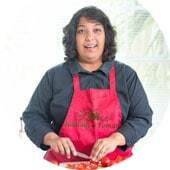 I appreciate your comments and thank you for making my recipe. I let people leave comments even if they haven’t tried the recipe. It is unfortunate that you didn’t like it. I will be happy to show you the right way to make these wontons. Feel free to contact me directly. Okay what are samosas? Am I the only one here who has no clue what that is? Thank you, Mardene. They are the most popular Indian appetizers. The Samosa Wantons look so amazing. I love the combination of sweet and red potatoes. 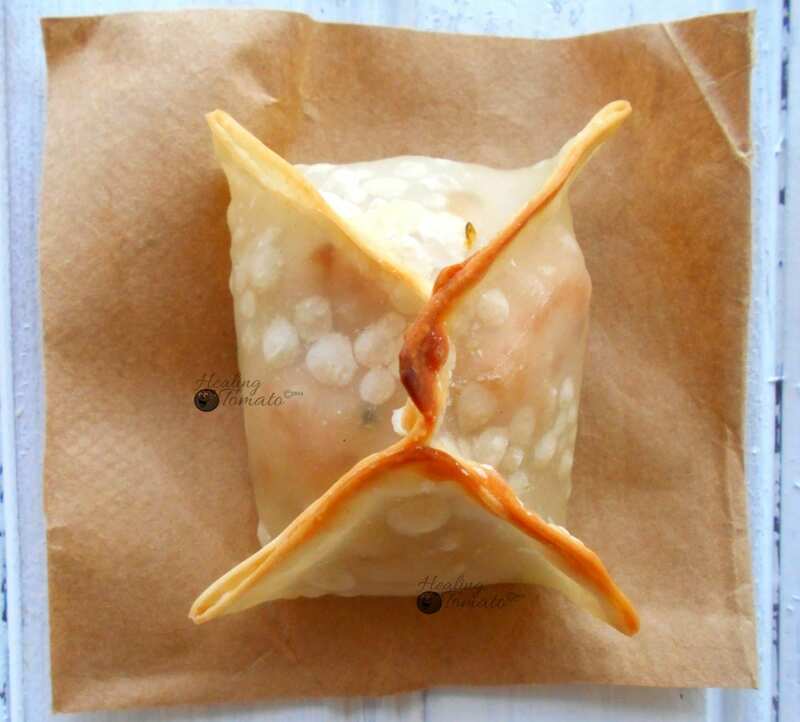 Your samosa wontons looks way too cute to eat lol I can see me trying to make them look the same and failing lol Yummy recipe though! Thank you so much for this! Will have to try these shortly. I’ve never tried these before but I’d really like to. I love trying new dishes and recipes and these do look divine.